Although Copenhagen was founded in medieval times, it stands out as a modern city in an international age. The Danish capital is one of Europe’s cleanest cities and has one of the most advanced metro systems in the world. The consultancy Mercer ranks Copenhagen 11th in the world on ‘quality of life’ and 9th in the world on ‘safety.’ The city has also become a hub for international businesses and organizations. For example, Carlsberg Brewery Group and Maersk, the world’s largest container shipping company, are both headquartered there. International organizations also have a large presence in the city. The headquarters for the United Nations Office of Project Services (UNOPS) is located in Copenhagen. Additionally, UNICEF, the United Nations Development Program, the World Food Program, and the World Health Organization all have offices in Denmark’s historic capital. Yet, Copenhagen manages to attract a fair share of tourists as well. It is a popular stop for many Baltic cruise lines and receives more than 2.5 million visitors each year. Vacationers come to Copenhagen to see the Tivoli Gardens, the Borsen Stock Exchange, the Amalienborg Palace, as well as the city’s harbor and its famous statue of the Little Mermaid. Given its popularity among travelers, it is fortunate that Copenhagen is generally considered to be a safe city. At one point, it was one of the safest cities in the entire world. Unfortunately, the situation has deteriorated somewhat in recent years. Copenhagen has witnessed rising rates of auto break-ins and home burglaries. While there is also some violent crime, it rarely affects tourists. Despite this criminal activity, the biggest danger facing tourists is the threat from pickpocketing and purse-snatchers. The city’s pickpockets tend to primarily operate around train and metro stations, particularly Copenhagen’s central train terminal. As in any large population center, thieves tend to frequent areas with lots of tourists. As such, visitors should be watchful around shopping districts, popular tourist destinations, and the airport. Additionally, tourists should be careful when walking around the harbor area, as there have been reported thefts near the wharfs and boat docks. Travelers should also remain on guard even when they are in their hotel. There have been reports of well-dressed thieves walking into hotels and grabbing unattended bags, purses, and briefcases. These crimes have been known to occur when guests are in the lobby, the reading room, or having breakfast. If travelers witness such behavior, they should report it to the hotel staff immediately. Although Denmark does not have significantly more racism than other European countries, racial frictions in the country have tended to be more visible. For example, tensions between immigrant groups and white Danes increased in 2005 after a Danish cartoonist published and insulting depiction of the Prophet Mohammed. As a result, there have been reports of visitors of African or Middle Eastern descent encountering prejudice and racism at the city’s nightclubs and bars. Although such behavior is deplorable, it is important that visitors avoid escalating the situation and simply walk away. 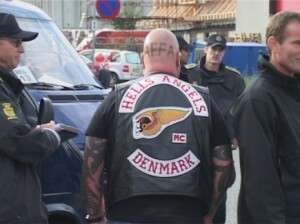 Racial tensions in Denmark have also resulted in a significant amount of street violence. 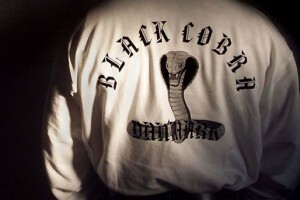 Biker gangs, such as the Hells Angels, and immigrant youth gangs, such as the Black Cobras, have come into conflict on a number of occasions. In truth, these conflicts are not totally fueled by race. Much of the gang violence in Denmark is a result of struggles over territory, particularly the illegal trade in narcotics and prostitutes. Although Denmark’s gang violence has generally not affected tourists, travelers should avoid areas frequented by individuals wearing gang colors (see pictures below). It is also advisable that visitors steer clear of Copenhagen’s western suburbs as well as the neighborhood of Norrebro. These districts tend to be low-income areas and are known to witness higher gang activity. Additionally, caution should be used while traveling through the Vesterbro area. This used to be Copenhagen’s former red-light district and was once a popular hangout for drug users. Although it has improved recently, becoming one of the city’s more trendy areas, it has not left its seedy past entirely behind. Denmark’s capital is a wonderful northerly destination for business travelers and tourists alike. Although reports of gang violence and racial tensions raise alarms, it should be noted that the city is still one of the safest in the world. As always, travelers should use caution and common sense. Doing so should result in an incident-free excursion to one of Scandinavia’s great cities. The Black Cobras Gang normally dresses in Black and White, while the Hell’s Angels normally dress in black leather with Red Lettering.